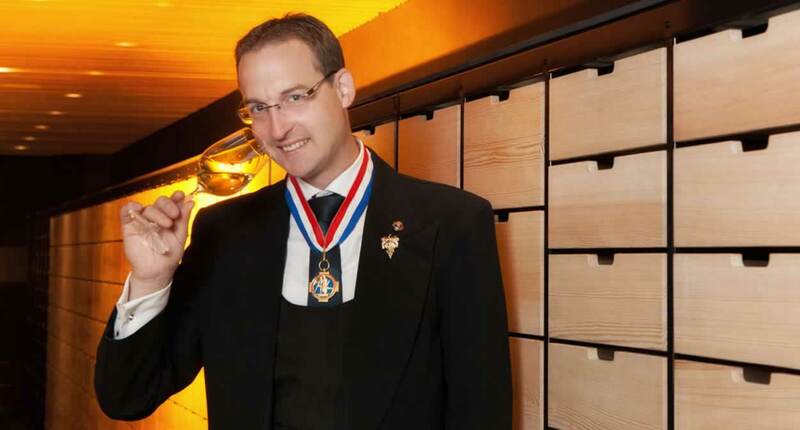 Head sommelier at Villa Lalique, crowned France’s leading sommelier in 2012 and Meilleur Ouvrier de France – the country’s finest artisan – in 2015. The son of a baker who also won the prestigious Meilleur Ouvrier de France title, Romain Iltis’s tastebuds were aroused at a very early age. It was only natural for Romain to start in catering before turning to his true passion: wine. Romain began his career at the Alexandre Dumas hotel management school in Illkirch-Graffenstaden. After enrolling in Alain Ducasse’s kitchens, he joined the Chabichou team in Courchevel, where he stayed until 2005. Romain then took a 180 degree turn, swapping his cook’s apron for the apron of head sommelier at Munster’s La Verte Vallée in his home region, Alsace. In 2012, Romain began working alongside Jean-Georges Klein in the three-star chef’s L’Arnsbourg restaurant. In the same year, Romain was awarded the title Meilleur Sommelier de France. But that was not the only prize that came his way since, like his father before him, he won the title of Meilleur Ouvrier de France in 2015 in the sommellerie category. 2015 was also the year Romain was appointed chef sommelier at the Villa René Lalique, a gastronomique restaurant in Wingen-sur-Moder in northern Alsace, once more alongside the chef Jean-Georges Klein. With his well-honed cook’s palate and infallible nose, Romain is a great enthusiast with a special talent for pairing fine wines and food. Supported by his two assistant sommeliers, Romain supervises one of Europe’s finest cellars: with 20,000 bottles, he can offer customers a range of surprising tastes to bring out the best in Klein’s dishes. Although he has become a prodigous sommellier, Romain has lost none of his modesty: it will be his great pleasure to serve you, when you will notice the Meilleur Ouvrier de France Sommelier tricolour on the right sleeve of his jacket, normally found on the collar. There’s no doubt about it, Romain has something of the grand cru about him!